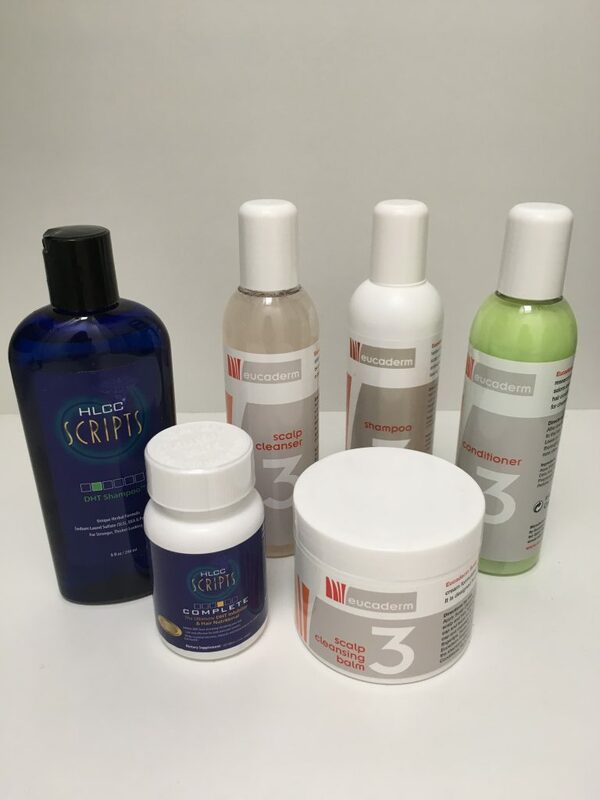 Do you have a question regarding hair loss or scalp issues? As a Trichologists and hairdresser for many years, I have a wealth of knowledge to answer any questions regarding your hair and scalp. Don’t sit there brooding over the concerns you may have, email or call me and let’s get the conversation started. Are you feeling tired all the time, suffering shortness of breath and your hair is shedding more than usual? You may need a blood test to see if you are iron deficient. It is the Ferritin level that is key to hair loss it needs to read 80 micrograms per litre and above for good hair growth. Your doctor will advise you on what dosage of iron is appropriate and this may be just the thing you need to improve your hair. Are you suffering severe dandruff? This is caused by the abnormal shedding of the top layer of the epidermis (skin) or a fungal infection called Malassezia. That can be treated easily with our scalp cleansers and specially formulated shampoos. Are you a young man who has noticed his hairline receding? It may be the early signs of androgenic alopecia. A common genetic condition, caused by a chemical in our bodies called Dihydrotestosterone, DHT. Testosterone is converted to DHT by 5 Alpha Reductase Enzyme. DHT attaches to the androgen receptors on the hair follicle causing gradual miniaturisation of the hair follicle resulting in finer and shorter hair being produced until the follicle eventually dies and hair loss occurs. HLCC Scripts programme includes 19 natural DHT blockers. The sooner you start the HLCC Scripts programme the sooner you stop DHT in its tracks. Whatever your concerns or worries email info@hlcc.london or call 02030264720 and let’s find a solution.